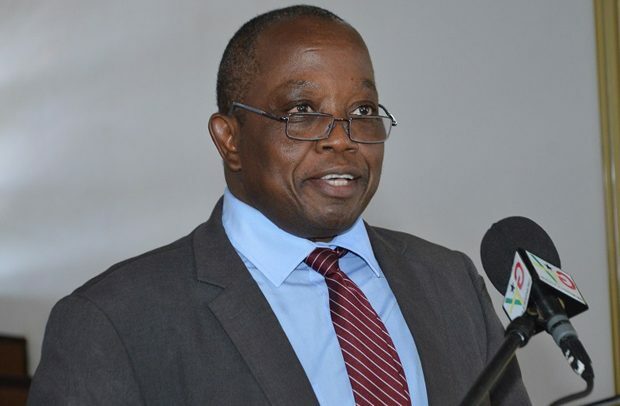 The Council of the University of Ghana (UG) has petitioned the Minister of Education against threats by the Auditor-General, Daniel Yaw Domelevo, to forcibly terminate post-retirement contracts of 212 staff of the university, as well as other public universities. According to the Council, if the Auditor-General is allowed to carry through with his threats, it would greatly affect the dwindling staff strength, which has over the years not been able to match the ever increasing enrollment of students and the introduction of new academic programmes. The university is said to be under-staffed and government has not given it financial clearance to recruit new lecturers. It is against this backdrop that the university has decided to retain the contracts of retired lecturers who are below 65 years. “If post-retirement contracts are forcefully terminated now, as threatened by the Auditor-General, this would create crisis in the University of Ghana and indeed the rest of the public universities. This would be compounded very soon when student numbers soar as a result of the free SHS, and the introduction of the double-track system at the Senior High School level,” the letter signed by the Vice Chancellor of UG, Prof. Ebenezer Oduro Owusu, said. The Auditor-General, in March this year, observed that most government officials had been given contracts, which he said had led to the blocking of promotions of otherwise deserving officers and preventing the employment of fresh graduates coming out of school. He said the situation is not conducive for good governance, adding that it’s putting financial burden on government as beneficiaries receive double income as pensioners and salaried workers. He subsequently threatened to terminate the post-retirement contracts as a remedy to the situation. “It’s imperative for the university to take such wealth, which has been built over the years at this critical stage of our institutional development,” it indicated. It added that senior scholars also play an essential role in mentoring young faculty, and provide quality assurance for the diverse processes of knowledge building and dissemination. The petition also touched on the deficit in lecturers in the University of Ghana as a result of increasing numbers in enrollment, as well as introduction of new academic programmes. The Council of the University of Ghana is, therefore, appealing to the Education Minister to intervene on behalf of the University to prevent the Auditor-General from terminating the contracts of post-retirement contract lecturers. This, they claimed, has a long-term ramification for teaching and overall academic performance of the university and other public universities in the country. The Auditor-General, lately, has been in the news for the wrong reasons, including engaging in procurement breaches in the purchase of vehicles running into several millions of Ghana cedis.